The week is flying by! 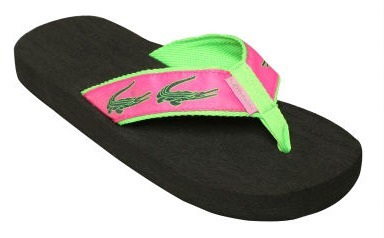 The star of today's Pink and Green Thursday is the preppy alligator. We'll start with the original...but there is a twist. 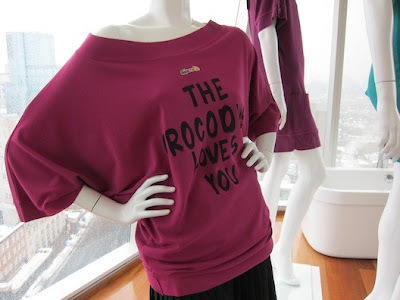 Have you heard about the collaboration between Lacoste and Catherine Malandrino? The line will be coming out mid-April, you can view pieces from the collection here. The 80-year-old logo features a kissing pair, a bold change. "We might change the color, and we have used an enlarged one, but it was a big deal to turn the crocodile around." - CEO Steve Birkhold told WWD. I think I'll stick with the classic polo. 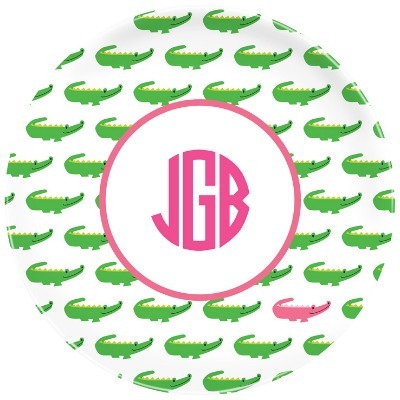 Now onto some other preppy gators... from the home to your feet! 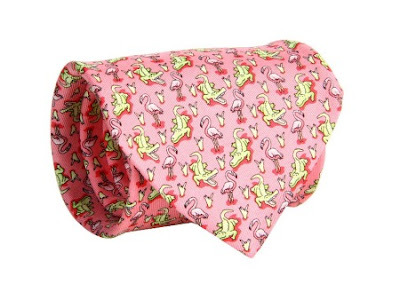 There are unlimited amounts of cute pink and green alligator apparel and accessories for children. This one made me laugh! Loving the kissing crocodiles, so cute! I love those flip flops! You will be happy to know that I am coming out of my blogging rut today! You always know the inside scoop on fashion!!! LOVE It! That plat is too precious. I'm in love. 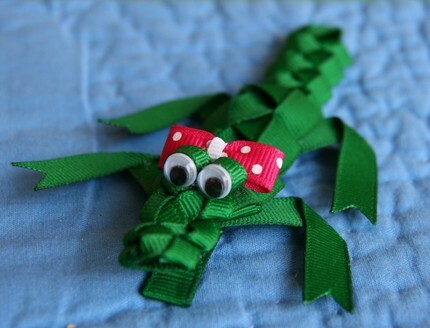 The alligator hair clip!!!! 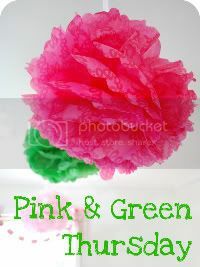 I wish I was older and had a little girl just so that I could purchase that. Too ridiculously cute. 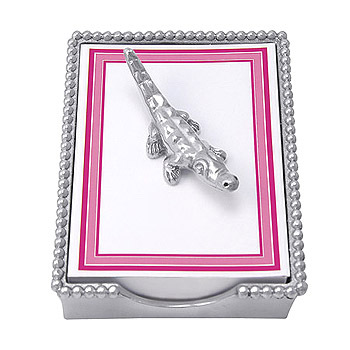 Loving the alligators and how cute is the hair clip!